Drilling sludge mainly consists of sludge produced from oil field, survey and construction. Some sludge contains oil and some contains sand. The quality of sludge is different owing to different situations of construction. If the drilling sludge contains much inorganic matters and sand, taida sludge disposal equipment can reduce the moisture content of sludge to 14%. If the drilling sludge contains much oil, the final output moisture content may be a little higher. Generally, taida chooses disposal method strictly based on real quality of sludge. Taida sludge dehydration equipment can be applied to disposing sludge from oil field, survey and construction. 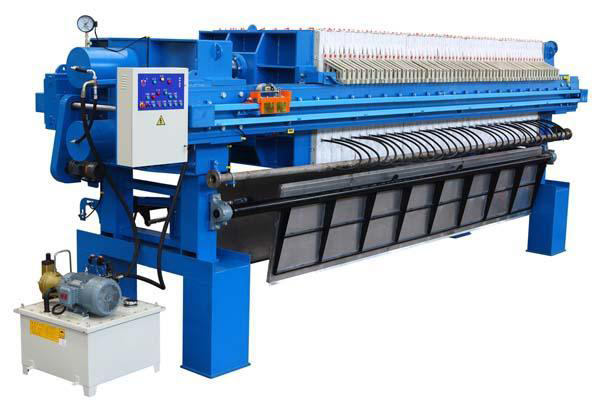 It can be also applied to disposing sludge from municipal sludge, coal washing, printing and dyeing, drilling, papermaking and electroplate industries. 1. Complete dehydration: taida sludge disposal equipemnt is a kind of super high pressure sludge disposal dehydration equipment. Its pressure reaches to 6 to 8 Mpa. The moisture content of drilling sludge treatment for customers in Linyi, Shandon is reduced to 14% from 93%. The difficult problem that moisture content of sludge is too hign is solved by our equipment. 2. Low cost: owing to super high pressure design, not too much sludge conditioning reagent is needed to temper sludge. The amount of conditioning reagent for dispoing one-ton sludge with 80% moisture content is 50% to 70% less than that of common equipment. Comprehensive disposal cost (include labor force and electricity) can be saved by over 50%. 3. Stable performance: taida sludge dehydration disposal equipment has been applied to many projects of at home. This equipment holds many advantages such as stable performance and less malfunction, which gurantees good effect of sludge disposal. 1. At first, feed wet sludge through high pressure feed pump. Start primary dehydration under 2 Mpa pressure. After finishing feeding, turn off the pump. 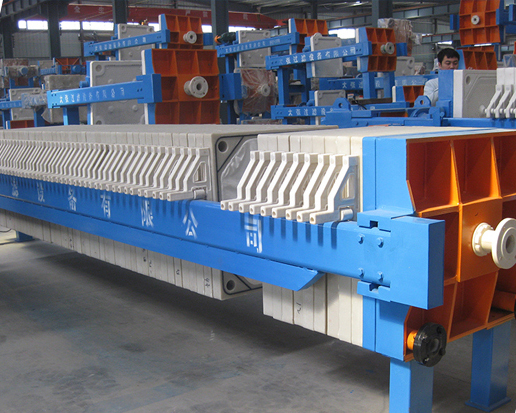 Deep dehyadration is finished under the 6 to 8 Mpa pressure of hydraulic pump. 2. After deep dehydration, sludge becomes dry sludge cake. Under the function of pneumatic discharge device of taida dehydration equipment, sludge cake unloading is finished automatically. 3. 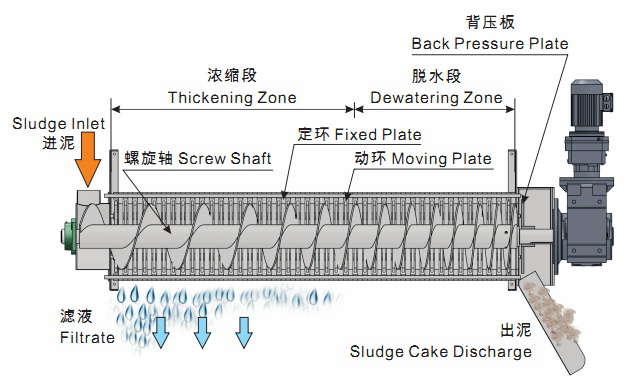 Finally, sludge cakes are sent to requested position by conveyor belt. We will provide our customers with perfect services after-sale service. if you have any questions, please feel free to contact us., we will answer your questions in 24 hours.